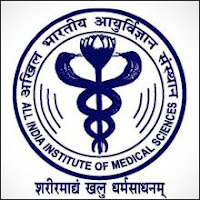 AIIMS Nagpur Notification 2018.AIIMS Nagpur has released a notification for the recruitment of Professor, Additional Professor, Associate Professor and Assistant Professor vacancies in All India Institute of Medical Sciences Nagpur. In General Medicine, General surgery, Dentistry, Pediatrics, Psychiatry, Orthopedics departments.Check the eligiblity and notification prior to apply for the positions. Post graduate degree holders in the above mentioned department can apply for this job recruitment. Minimum teaching experience for applicants post wise is given below. 58 years is the maximum upper age limit for professors and additional professor post applicants. Post wise monthly pay details are given below. Based on candidates performance in interview aspirants will be hired up. AIIMS Nagpur recruitment through online mode by JIPMER. From 26th September 2018 to 26th October 2018 candidates may apply. http://jipmer.edu.in/announcement/jobs candidates can click to apply directly.